The wider design of PF101 works well for hand-held polishing, yet is compatible with holding bars from Technology Associates. 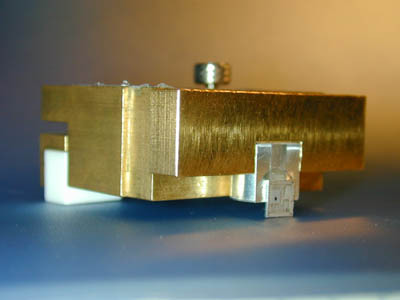 The front end firmly holds the sample mount. No need for a screwdriver! Cross section angle is adjustable over a wider range with just one screw. 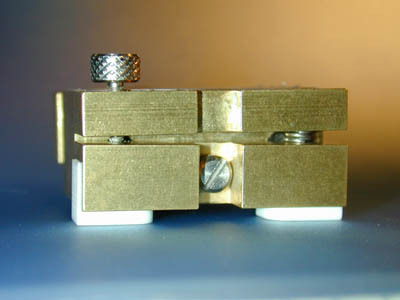 Teflon blocks pivot together to maintain a broad planar surface on the polishing wheel. A center gap allows water to flow through. 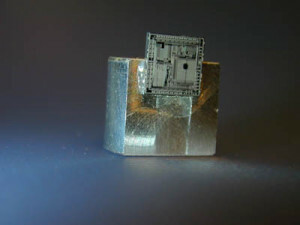 12.5 mm diameter sample mount fits directly in most SEMs without special fixturing. It’s small size allows close working distances required in high resolution FESEMs.